Nice job. I haven't played Banished in a while (been preoccupied with a couple other games) but I just might have to install this and fire it up. Good to hear. Banished lives! It will be fun to find out what it is. I fired up a new game and played using this mod for a few hours. I just love having the vanilla textures on more buildings. I only have one question, and it's not a criticism, just me wondering about something. You've got a records office and also a tower that reports inventory. It is essentially just that tab from the town hall. While I like the look of the building, what is the advantage of having both? I'm guessing other people must use the town hall much differently than I do. Thanks, Kid! This is great! I recognize the tower house from one of your early mods, Houses for Sale, when it had a orange and other colors tile, roof Glad to see it again retextered!. GG,probably cause players like different building styles.sometimes 1 doesn't fit as well as another depending on the village. i actually use several townhalls on maps.it is a handy tool to check inventory while you are working in a village and then to be abe to check it quick when in a mining area.others use the minimize button on the TH.we all are different. Thank you kid for giving new buildings in vanilla textures. I can answer these replies. @galensgranny that tower house from Houses for Sale is one of my favorite houses Kid made. I originally suggested it be retextured as an inventory only overseer for port or mining area thinking of @brads3 and myself but @Goblin Girl I also love lighthouses. So we decided to make the tower house a Hall of Records and the lighthouse an overseer of the port. My town hall is usually far from the port area and I like to check inventory when trading or stocking trading post, so the lighthouse is decorative and useful. When suggesting things to Kid I try to include things mention in the forum (like more Wild West) or things I know others would like even if it is not something I would particularly want. I rarely use markets or taverns. 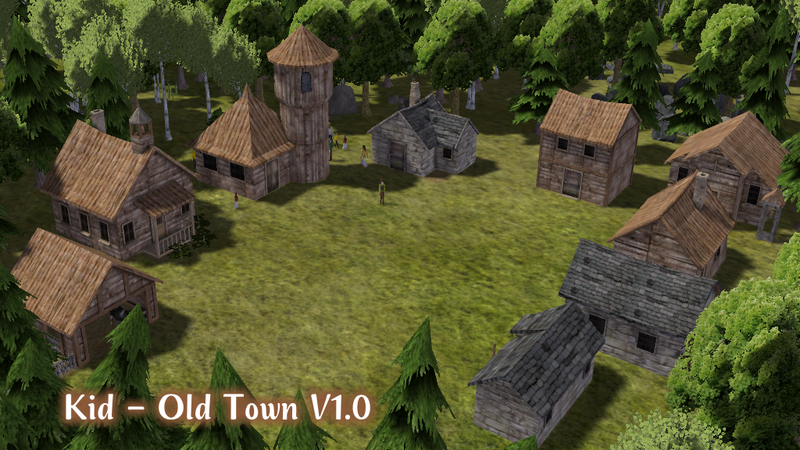 I remembered tavern after we thought Old Town was done but Kid added it in before release. I am afraid Ghost Town got a bit more complicated than @kid1293 would have liked I know he will be as happy as I am that you all like basic vanilla Old Town. So we decided to make the tower house a Hall of Records and the lighthouse an overseer of the port. My town hall is usually far from the port area and I like to check inventory when trading or stocking trading post, so the lighthouse is decorative and useful. grain.....? umm the root beer tavern,the honey still,the maple still,wineries,the Pilgrim's rest has options or the Swan. you are right that we need a non-brewing tavern that will store the different options.i have just 1 from CC. course you can set 1 to use plums and never grow them too. oh yes, there are a lot of different taverns and options, I think I have used all the ones you mentioned at one time or another but not often.